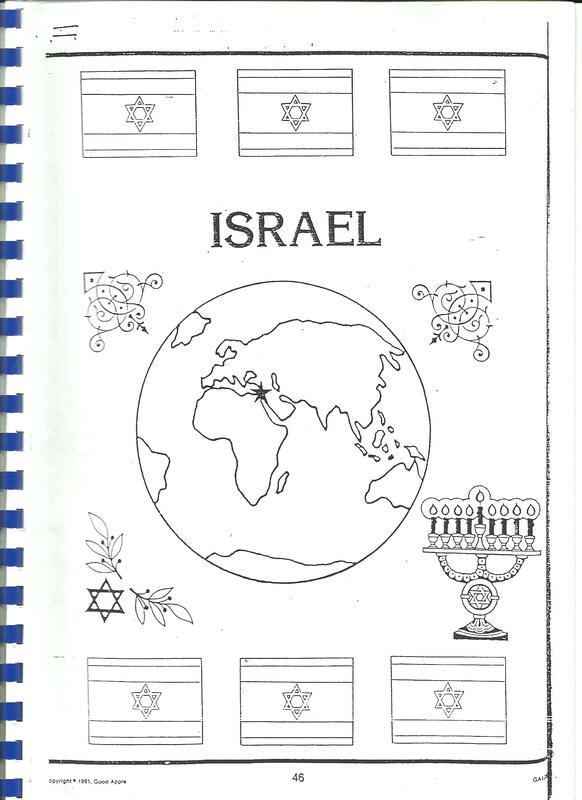 Ascher's third-grade class briefly met "Israel" in its survey of "Holidays Around the World." I am particularly fond of the star vaguely gesturing to Israel's location, because, you know, political borders aren't very important in the Middle East. The winter holidays arrived, and with them, I became the subject of a great deal of curiosity. We are, after all, the only identified Jews in the school, and I abruptly found myself representing the entire Tribe to the Chiang Mai International School. Miss Janet, knowing that we were of “another faith,” asked if I would be willing to talk to the preschoolers about Hanukkah and our traditions. I didn’t have a proper menorah here, I said, but had stuck Buddhist-offering candles to a plate, and it worked surprisingly well. “Martha,” Miss Janet says, “you know, she’s Jewish, she could probably lend you one.” Martha is the wife of the school principal, an evangelical Christian. I stand, dumbfounded and confused, until she clarifies, “she’s, you know, ethnically Jewish. She used to be Jewish, before she met John, and then she converted, but still wants to teach her children some of her family’s traditions, so they light the menorah and play dreidel at Hanukkah.” A sharp shot of anger goes through me, although I still smile politely. When we were young, my mother, as part of her conversion to Judaism, decided once and for all that her household would not celebrate Christmas, and out went the tree, the ornaments, the lights. We cried some, but then were consoled by an expanded role for Hanukkah. The message I got was a good one, and it was clear. When you convert, you convert. You don’t get to keep the parts you like—pretty menorahs, potato pancakes, and referrals to good pediatricians and lawyers—and punt those that conflict with your new happy state of salvation. From my Jewish perspective, if you leave the tribe, you’re gone, and you can’t bring your Jewish stuff with you when you join up with the Christians. As consolation, think of all the cathedrals and beautiful music and historical events that now belong to you. Mozart’s Mass in C Minor. The poetry of George Herbert. The Spanish Inquisition. They’re all yours now. But you leave the dreidel at the door. Miss Janet continues, “Would you like to present something about Hanukkah with Martha?” I stop smiling politely. 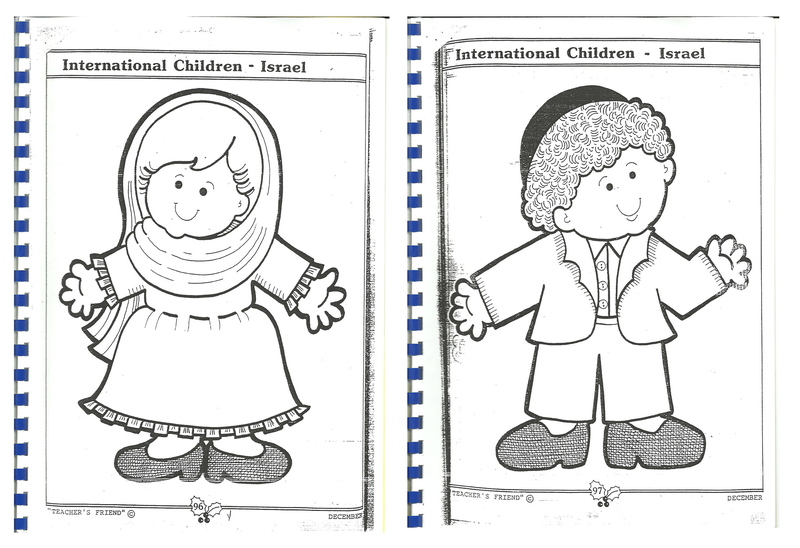 I am appalled at the idea of Martha standing in front of these young children—many of whom have never met a Jew—and giving them the impression that Christians get to do all the fun Jewish stuff, too. “Miss Janet,” I say, slowly, “What Martha does is, from my perspective, is sort of like celebrating Christmas without Christ, or just eating chocolate eggs on Easter. I’m uncomfortable with…” Now I’m thinking, and I’m getting angrier by the minute. “I think her presence would suggest to the children that being Jewish is an interesting collection of practices that you can pick up or drop as you like. And I will not do that in front of my daughter.” “Oh, gosh,” says Miss Janet, “I’d never thought about it that way.” I would hear this sentence several times over the course of the next two weeks. The end result is that I deliver (solo) to Camilla’s class a standard telling of the Hanukkah story, lighting of the menorah, doughnuts to eat, and dreidels to spin. Martha explained to me how she came to Christ: raised as a Conservative Jew, she “fell out of love with organized religion in college,” but John asked her to read the Bible, and then she fell in love with Jesus and His message. She still didn’t love organized religion, though. She was taken aback when I remarked how odd it must be for her now, to be a missionary on behalf of perhaps the best organized religion in history. Eventually, the conversation gets around to her saying that she’s on her way over to the Chabad House to buy Israeli Hanukkah candles, and did I want her to pick some up for me? No, I said, we had cobbled one together, and it was beautiful. “Oh, don’t worry about it,” she says, “I’ll pick you up one of those tin menorahs they pass out.” And of course, she does, along with two of the oddest dreidels I’ve ever seen. They were round: a game would take hours as the dreidel rocks slowly into place, and would result in endless bickering about which letter was actually on the bottom. She refuses any money, and leaves me as the recipient of Christian kindness about, of all things, Hanukkah. Now, my friend Susan is a woman I trust utterly with my children, whose child-raising approaches I respect deeply, and who is a merry, honest, kindly, and welcoming soul. She was born again after many years wasted in drugs and alcohol and partying. Probably part of the reason I like her is because she acknowledges the life she had before Christ, and remembers that some of it was a lot of fun. Her new life is, of course, better. What neither Miss Janet nor Susan have realized—despite their best intentions to “respect” the Jewish tradition—is that Jews are, and have always been, a threatened people. Judaism does not grow: we don’t gain new members by proselytizing and we lose each other through intermarriages (and through a few close-minded rabbis who won’t perform them). The institutions of our community, our synagogues, our community centers, our homes for the aged, are all weakened by demographic change and by the greater acceptance—and assimilation—of Jews into American society. Regardless of one’s stance on Israel politics, it’s safe to say the Jewish state has enemies who would like to see it gone. And, here, I realized to my shock that there are kind (if ill-informed) Christians all over the world who think Judaism is simply a refusal to get with the times, that Judaism is merely the model from two millennia ago. In many ways, that gentle and polite negation constitutes an enormous threat in itself. Once I realized that our children are the only Jews in the school—sorry, Liz, your half-Jewish boyfriend who cries over Holocaust movies doesn’t qualify your daughters—I resolved to do something in Ascher’s classroom for Hanukkah. After all, I could not live with myself if the bar-mitzvah boy below and his bizarrely Dutch—or maybe Druze?—sister were the impressions his classmates would take away of the Chosen People after having a living, breathing Jew among them. As much as I have loved a great deal of my children’s experiences at CMIS, I, too, want to be free. I want to be back amongst my people, or at least among people for whom my people are not a strange and exotic tribe. At the end of one of our conversations, Susan sweetly apologized because she feared that these conversations I’ve been having all over CMIS—in which I am the first Jew any of these people have ever met—are getting tiresome. But these conversations are not tiresome at all. Frankly, they blow my mind. These people truly believe that the God changed his mind about that Covenant after all, or at least the terms of the agreement. But they also believe Scripture, the Word of God, is never wrong. I wonder, what if he changed his mind about that after publication? In the end, these conversations turned out to be the greatest mechanism possible for cementing me in my faith, or at least in my tribal affiliation. While I may not be a very devout Jew, after my time among the missionaries, I could never, ever be anything else. Round dreidels are the work of Satan! Thanks for another very interesting post. I know you’re traveling soon, but I finally have a few minutes to post a quick comment. Perhaps this is something I don’t understand as well as I should, but it’s always seemed to me that Christianity and Judaisim are inextricably connected. The two faiths share many of the same stories, and there is no way to fully understand Jesus without some sense of (at least) Second-Temple Judaism. Maybe that’s part of why the people you met don’t understand your Jewish identity. For Christians who live in places with no Jewish popluation, Jews are familiar from Old Testament stories. Maybe that creates a lot of erroneous assumptions that come out in your conversations. Anyway, that’s all I have for now. Safe travels. We hope to see you sometime soon. As a “Jew-by-choice” I have struggled mightily over the issues of Jewish identity, including ethnicity (which I can never adopt) and belief (which spans the divide between an omniscient G-d and none at all). I think within Judaism and among Jews there is a high tolerance for multiple interpretations of who is a Jew EXCEPT for the acceptance of Jesus as the Meshiach. Some Jews never light Shabbat candles, go to synagogue, fast on Yom Kippur or even believe in God. Others are Shomar Shabbos, believe that every word in the Torah is true, accept that G-d is mighty and powerful, and submit themselves to every indignity just to prove it so. The Orthodox will accept converts from every corner of the globe as long as they follow the rules. And they will acknowledge the core Jewishness of someone who’s born Jewish to a Jewish mother, even is said Jew has left the fold for traife and atheism. It’s mostly confusing and often infuriating. I guess Judaism is like a big tent, minus the revival. One of these days I will figure out exactly how I fit within it. You know I love you, but how do I respond? I, the ex-Christian who sends her kids to Jewish Day School, but CAN NOT wait for Christmas to come so I can go to my brother’s and we (my birth family,) can share a holiday together. Martin Luther King Day just doesn’t have the same history, or school vacation to pull us all together and let us stay up late. Can I ask them to stop having Christmas because we’re coming? Could I ask my kids to watch their cousins enjoy Santa without them (I could, but this is their shared experience,)? Do I tell my kids what Christmas is really about (yep.) Do we do the religious Christmas (my sister-in-law DESPISES all religions,)? Actually, I have been trying for years to fit in taking the kids to Christmas services so that they can understand the experience that others are going through. I am equally amazed at Jew’s lack of understanding of the majority culture as I am of other religions misinterpreting what it means to be Jewish; however we each interpret that label ourselves. In other words, sometimes, you just can’t throw the baby out with the bath water, and, sometimes, that bath water wouldn’t qualify for the mikvah. ps. Not all areas of Judaism are shrinking; the Orthodox have big families for a reason. Come home, we’ll stay up late and argue. Come on home Juliet!!! We miss you, too. The funny this is, Juliet, is that I’ve had similar conversations among Christian friends here in good ol’ Illinois. I have an old friend who is an evangelical, and she and her church-based friends used to love to tell me their supposed connection to Judaism — someone who had a Jewish step-grandmother, or a “good friend” they had growing up, but with whom they no longer speak. One woman even mentioned her friends in Jews for Jesus – clarifying for me by saying, “They’ve accepted Jesus as their savior, but THEY’RE STILL JEWISH!” Um, no. Jews for Jesus is analogous to Vegetarians for Meat, but I managed to hold my tongue. Its as if some of them want to make some sort of non-threatening connection to us, but to what end? Conversion? Peace and harmony? Despite the fact that my father is not Jewish, I have never considered myself half-Jewish (as many a Christian likes to label me) and although I am not a devout practitioner of the faith, I can no more consider becoming a Christian than I can consider becoming Chinese. Ok, I’m a little off-topic, but your post rang so true, that I felt an immediate connection. Thank you for sharing!